When Moo-Myung was young, he had an once-in-a-lifetime event. He walked into orphanage by himself. To take revenge, he attempts to become a God of Noodles. Takes over the KBS2 Wed. & Thu. 22:00 time slot previously occupied by "Descendants of the Sun" and followed by "Uncontrollably Fond" on July 6, 2016. Lee Je-Hoon was first offered the lead role, but declined. Early working title was "Yasooui Sigan" ("Time of the Beast"). CKW Nov 06 2018 7:28 am It's a good watch. It's not everyone's cup of tea because it's a slow burning drama. But if you're into dramas that burns unbearably slow that it captivates its viewers just on the basis of narration and cast then this will be a great one for you. While it has its flaws, acting is not one of them. People here saying its badly acted probably does not know what "acting" really is. This drama had the boring and typical plot but I only watched it for Lee Yeong Seop, his character was nice and the shipping was great but why does he needs to die??! T_T I mean he doesnt deserve. Though CJM is the main charcter, it was better there was less scene of him since i didnt like his character but he was a good actor. I hated the character Yeo Kyung, she was so selfish. Wish she died. Eun Na Dec 06 2016 12:20 pm This drama is probably not great as other, but i really enjoy watching it. Every scenes are too precious to skip. All crews and players in this drama have done a fantastic job. Lyn Aug 25 2016 8:22 pm Cho Jae Hyun acting always awesome!! I love him at Punch & this Master God of Noodle. Not so great Jul 25 2016 3:56 pm This is just my opinion but I think this drama is so boring. Story line is so so and acting wasn't that good. If you have nothing to watch then this will be OK.
Licorice Jul 19 2016 2:58 am At least it's a happy end guys! We could relieve. Yeah, though l really hate Myung's character. He's too focused on revenge, and ignored his friends. He said he cares, but he did nothing for them. Has he ever protect them? No. Yeokyung being brave by attacking from the front (by being the target in order to free her friends), Taeha stayed to keep an eye on Gildo (to prevent harm to his friends), Gilyong helped from the back by being unnoticed, while Myung still being selfish. l don't know what the writer wanted, but he seriously destroyed Myung's character. l noticed that everytime Myung is with Yeokyung he always smiles and relax. She's the only person whom can make him smile. The writer should develop that more so it would show that Myung is actually a loving person underneath his evil plan. Well, what's done is done. What can l say? only good words Jul 09 2016 11:59 am Congratulations Master of Revenge Team!!! !, You guys have done a god job, fantastic. I enjoyed the show from start to end. I am so sad right now, as if I have lost someone i really know, cried a bucket and heart still hurts for tae ha. I am glad you chose to show their happy faces at the end ,you saved yourself from some curses :). Gil young hope you get a bigger role next time. Mr Kim gil do it's my first time watching your drama and hats off to your acting. I convey my wishes to every and each individual who worked for this drama and story writer do come back with a blast again. Obet Jul 09 2016 4:12 am Missing this drama and their characters. Good acting and story. Hate the politicians manipulating people. Jkl Jul 05 2016 10:34 pm @victoria. . I have the same thoughts too. . Lol Tae ha and yeo kyung seems like the main characters of this characters. . XD Myung has few scenes here. . It also seems Yeo kyung is the master of revenge here. . She committed many crimes too. . I also agree that Tae ha is really stupid and reckless!! but i cant accept he died. . I really knew he would die becoz of his actions. . Protecting and sacrificing for his friends and for Da hae. . :,( i cried on the scene when Tae ha was talking to her on the phone fir the last time. . I ship this two. . Hope they will another project together!! Victoria Jul 02 2016 11:37 am After watching this drama, l could say that this is actually a good intense drama. The bad things are: Myung's character in last 2 eps was bland. Instead, Gildo, Taeha and Yeokyung's characters stood out. l was like "Wow, who's the main character actually?" Especially in the end, Myung just let Gildo died. He did nothing to help Yeokyung to avenge Taeha. He killed your best friend and you did nothing??? He also said he cared for Yeokyung, yet he did nothing for her as well. She helped him a lot! That Ms. Seol should've been in prison! Why she's free and happy in the end? She's manipulative and evil. Like everyone said, Taeha is the sweetest. But for me, he's stupid and reckless. He thinks he's superhero trying to save everyone, yet he didn't have to die. He (and Gilyong) really cared for Yeokyung the most. They care for her more than Myung. This pissed me. Myung and Yeokyung supposed to be our couple, but what? Nothing actually happened. However, l'm still glad they get together in the end. l also like Dokku & Mrs. Go. Mrs. Go is a good person, and l like her accent as well. Anyone knows what accent she's using? In the end, l'm still pleased with the ending. lt's happy end, everyone! Watching the last scene made me feel sad yet heartwarming. l miss those times when they joke around. Lolol Jul 01 2016 10:49 am From my opinion, i think this drama is actually really good. But due to the long episode, it dragged unnecessary plot in it. I'm quite sad on what happen to Taeha. He protect his friends quitely till the end. Thats what friendship is. For Dahae too, she deserved a better life instead with Taeha. U know what i mean. For moo-myung, he should stop his revenge toward kim gildo when he reveal who kim gildo is during tht live broadcast. He should listen to Taeha in the 1st place. In the end, his revenge just felt worthless when u know what happen to kim gildo at the end. This drama is actually is about friendships. How the 4 of them always stick together and does not betray one another just to avenged on this one evil person till the end. sky Jun 30 2016 2:05 am Very interesting kdrama so intense. Every one has their own story not only focus on the main lead role.. Stand out cast, friendship goals. Must watch if you want some action and less kissing scenes. Worth watching!! Thumbs up! lolol Jun 29 2016 11:46 pm Some people just do not know when to stop complaining about the drama. If you feel its bad just stop watching it because it will save you time and gives you the opportunity do something else more productive. Licorice Jun 28 2016 1:13 am The rating is up and down. Feel really sad.... 2 eps left, but l hate that our first OTP doesn't even have romantic scenes, it was only a hug on eps 13. After that they quarrel, and miss each other. Now l know why Yoo-mi unnie said that in interview. though l'm happy that Yeo-kyung has risen to her role as female lead after Da-hae appeared more until eps 14.
l hope this will have good end, not just "the evil died" and "the friends apart"
ellie Jun 25 2016 8:53 pm Good in parts but draggy as time goes on. Would have been much better to wrap up earlier. kiyomi Jun 15 2016 11:21 pm This is one of the best kdrama's on right now. I wish more fans would tune in. You are missing out. The Villian is really evil & cold blooded. Seriously, heartless & bad guy! I hope he gets his karma by the end of the drama. I hope for a happy ending for Moo Myung! It's seriously terrible what happened to him as a child. rtz Jun 13 2016 10:20 pm pls end fast this drama..cant wait suzy!! claire Jun 12 2016 7:28 am I hope that the relationship between Park Tae-Ha and Kim Da-Hae will develop. I really like to see them together. I hope that the plot will allow it, for they are a ray of sunshine in an otherwise wonderfully dark story. hopper Jun 03 2016 12:24 pm I am so surprised at the low ratings of this drama. The consistency of mystery and thick plot deserves high ratings. I appreciate the art and settings that are so well coordinated with this dark theme and screenplay and script. It feels like this can really happen out there in the world. Once again team my support for you. Also like some mentioned about friends meeting and separating and think that there no plot development, Plot is already set up and has been progressing. At the same time truth is being unraveled slowly. This is a feast of a drama. Please don't expect any rom-com from this but just pure story driven perfection from this. Cecaniah Jun 02 2016 12:57 pm @flyy: hahah the rating and review for tenth episode is mostly very good and the plot has began to open one by one. Dunno you only a hater or what but I really wait for this drama out every wednesday. dads May 29 2016 6:19 am . . .I really hate Chun jung Myung . .grrrrrr . .
Neil May 25 2016 8:06 pm The part were the ex minion is waving at Kim Gil Do from the back of the car...solo creepy. I love this drama.reminds me or My Beautiful Bride. So well constructed and powerful. Mae May 25 2016 8:03 pm Episode 9 was insane!! Edith May 25 2016 9:32 am I couldn't understand why this drama is not a blockbuster. It is moving and gripping. Chun Jung-Myung is cool and great. sun4fingerisbae May 25 2016 8:31 am This drama is actually pretty good unlike its title (i mean, god of noodles really?). Anyhow, definitely watching it every week on the tele ngl. MysteriousDream May 25 2016 3:22 am Goshhh.. This is one of the best drama ever. Casts, ost, plot.. Everything were perfect. Low rating because most people love to see lovey dovey drama compare to revenge and action drama LOL.. As for me, i love this more that fantasy one like Dots..
doctorzais May 22 2016 7:12 pm The bad ratings in Korea tell me they just aren't ready for a drama as gripping and as raw as this. They enjoy the shows that are formulaic and literally bore me to tears. The villain in this one is one of the most heinous beings in kdrama history. He should win the Daesang for this performance alone. Every single scene he is in is scary almost as if he is a monster. The other actors are good too but pale in comparison to him. Hopper May 20 2016 5:30 pm Yes! this drama is on same level as of SIGNAL atleast for me. Team you are doing absolutely fantastic job. Anyone who care for script, acting and perfection just dive into this. All my support for this team. hopper May 20 2016 5:27 pm Yes! atleast for me this drama is on level of SIGNAL. That's how much i am into this. Team you are doing absolutely fantastic job.For anyone who value story, acting and perfection just dive into this. MimiK May 20 2016 2:39 pm What a cliffhanger for episode 6. This is the best drama ever!! Keep it up guys. Fighting! ChunJungMyungLove!!! charlotte May 17 2016 6:18 pm it is such a good and quality drama. overall interesting plot, characters, good acting and directing. why doesn't it have better ratings? :/ well, i guess the mature themes aren't for everyone, but it really has me wanting more despite how gruesome and cruel the antagonist can be. the last two episodes were amazing. i clicked on episode 5 and planned to see one scene and then take a break and go to the bathroom, but i held it in for both episodes that i even forgot about it. i'll never make that mistake again. once i start the episodes, i know i won't be able to do anything else. Amer May 16 2016 11:36 pm Greetings from malaysia.first of all,I'm not a fan of Korean drama.but not all.there are few on my fav list such as the last christmas,yu hi the witch,boys over flower and now thisbdrama really youch my heart and emotional.can't wait for another episode.tq for such great drama. Charlene Dierking May 13 2016 12:30 am Great drama! Can't wait to see what follows. 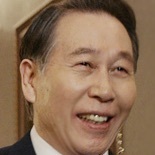 Kim Gil-Do gives me the creeps. Terrific acting! Nakki May 12 2016 7:18 am Okay guys. First of all, i dont really mind who is the female lead in this drama. The most i mind is the rating. Why Korean viewers doesn't like this drama? I think this drama totally great. Starting from storyline, the first n second eps is the most big hit for me. I just can say WOW. Even after that i cant stop my urges to watch another eps. 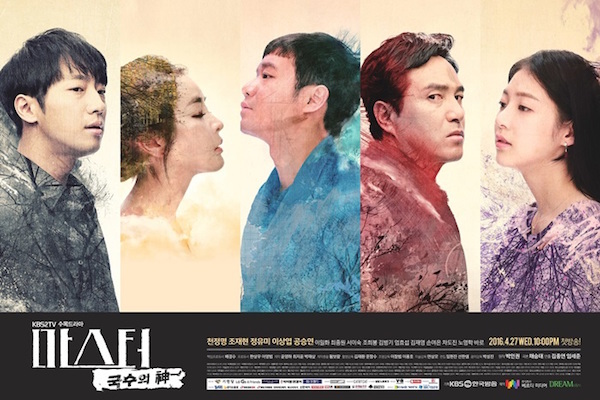 The twisted plot, the background of every character in this drama, like link from one to each other. Every actor and actress show splendid act. Cinematography is awesome. And if i can guess, they use the same house from Heard It Through Grapevine as Ha Jung Tae restaurant, i have the feeling (which Gong Seungyoen played in this drama too). Actually after watching eps 5, i hope that Da Hae wont fall for MooMyoung, please just love Tae Ha. Please, please. I love the first encounter of Tae Ha and Da Hae, so sweet. Jo JaeHyun as antagonist is the best, his face look stoic but sure he can pull that devil face whenever he needed. Dont ask me about Baro, he has talents as an actor, Baro Fighting. Overall, i will recommend this drama, and can't wait to see how this drama will develop and squeeze out my curiosity more. Victoria May 12 2016 12:02 am Really don't understand why people underestimate this drama! This drama is actually more exciting and great in storyline than DOTS! The story, acting, cinematography, background music, thrill: all you want from a good drama. l like DOTS, but it's not that great, it's just fresh and feels new. Seriously, people need to appreciate this drama! Jeje May 06 2016 1:02 pm Wow this drama realy good! Zian May 04 2016 12:35 am I'm enjoying the story. Please keep it up and PLEASE don't say you don't like CJM. Give him the benefit that he is a good actor with good looks that's why he's the lead role. CJM Oppa, fighting! Mari Apr 30 2016 5:00 pm Started watching this for Chun Jung-Myung. And, for the noodles. I love food! I'm enjoying the old world feel of this awesome drama. Shockingly good. He might be a good actor or whatever, but I just don't like him. I can't explain why, but he just gives me a really bad vibe. Sorry. Megumi Apr 29 2016 5:24 pm Chun Jung-Myung is an awesome actor so I dont get what some people here are saying wtf!! Victoria Apr 29 2016 6:27 am Watched till eps 2 and it's awesome! l love the cinematography! Feels like watching movie, not drama. 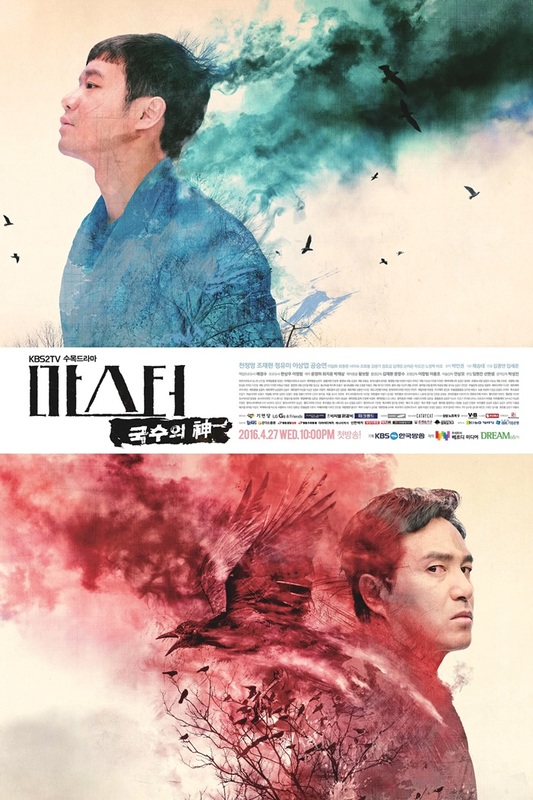 So far, Chun Jung-myung and Choi Jae-hyun's acting are awesome! Don't forget about Baro! WOW! He really nailed the evil Kim Gil-do! Guess that Moo-myung and Yeo-kyung will be couple, while Tae-ha and Da-hee is the second couple. At first l thought Tae-ha likes Yeo-kyung, but l guess not. Nalina Apr 29 2016 12:37 am I just watched first episode and it was awesome. I am looking forward to it. I hope i won't be disappointed because when webtoon is made into drama, I always have high expectation. Hwaiting!!! mawar Apr 22 2016 9:33 am 20 episode » 27 april - 23 june ? Or 27 april - 30 june ? Kristens Apr 22 2016 12:47 am I think will be a lead couple and the second one. The second one will be GSY and LSY,cause they are looking too cute together! bony Apr 20 2016 9:50 am @kpopkitty i agree with you i like Jung Yumi, Gong Seung Yeon and Lee Sang Yoeb, but i didn't like Chun Jung Myun, i refuse to drop watching drama Man Of Honor because of him. kpopkitty Apr 18 2016 10:36 am Ugh, I like a lot of the other characters, but I cannot stand Chun Jung-Myung. I just don't like him. At all. Sorry to his fans, but he really rubs me the wrong way. Ahjumma Apr 18 2016 6:52 am I don't mind who is the lead actress as long they have a good chemistry together with Chung Jung myun, I have yet to see an actress that has a great chemistry with him. A great chemistry between the leads can really boost the drama..
l'm interested by the plot of 4 best friends from orphanage. Hopefully they have the chemistry. Adel Apr 16 2016 10:12 am Why Lee Sang Yeob not the main cast ? lovingUisRed Apr 15 2016 8:45 am Orang pinter is actually orang tolol... Watch a few kdramas and act like he or she (or whatever u r) knows everything... Well... Actually u look stupid... Very stupid. YM Apr 13 2016 9:07 am Orang pinter, of course we khow who is Jung Yumi in this drama, she is not only in RP, she's also female lead in Maids, Mother's Garden, Wonderful Mama. If GSY is female lead, why she's is not in photo shooting, and very little information about her while filming, and i even don't see her face in teaser. And JYM, many photo of her while filming is revealed by kbs and you can see her in teaser. If you don't believe, waiting for till the day broacasting. orang pinter Apr 12 2016 7:49 am Hey, idiots, what's wrong with you all? It's not your favorite Jung Yumi of Discovery of Love and I Need Romance 2. It's Jung Yumi that play antagonist in Rooftop Prince. SO IT'S CLEAR THAT FEMALE LEAD IS GONG SEUNG YEON!!! supersnazzy Apr 07 2016 5:50 am Even the preview already look promising so i'm very anticipated for this drama. Wendy Apr 02 2016 6:12 am Jung yumi is female lead? Really..wow..love it..i ll support this drama. I like gong seung yeon too..love the cast..
YM Mar 30 2016 8:05 pm Jung Yumi is female lead, not Gong Seung Yeon, it's clear. memiey Mar 30 2016 6:29 am I love how the director make the teaser look like a marvel. Im waiting for this drama. Jungyumi, chun jung myung , lee sang yeob fighting!! Syfan Mar 30 2016 6:27 am Did seungyeon is the leading? I didnt see any of her photo yet on teaser and poster photo. Licorice Mar 25 2016 7:28 am Moo Myung....again.... How many Moo Myung is there? lt's the third time that name appeared. Anyway, l really hope Yoo-mi is the lead. l'm tired to see her as second lead and has bad ending again. Why do l think this is going to be mediocre story? As it's about "noodle chef".... seriously? NuruJoong Mar 22 2016 7:53 pm why uncontrollably fond will airing next after this drama ??? i dont get it the true reason..im waitng for that drama airing for too long time ..
a Mar 21 2016 5:58 pm Such a waste to schedule this after a massive hit as Descendants of the Sun. KBS2 should have led with Uncontrollably Fond instead. Lyn Mar 12 2016 11:07 am Finally seungyeon become the lead actress! Kira Mar 11 2016 12:57 am So its double female lead jungyoomi then gong seung yon..one will be a strong character and one feminine in nature..so who will moo myung choose at the end? zaza Mar 10 2016 8:12 am So where's Gong Seung Yeon? I won't watch if she's not going to play here. Bony Mar 10 2016 2:26 am I disapointed Lee Ji Hoon dosen't accept, but there have Jung Yoo Mi, i will watch it. Mari Mar 09 2016 7:24 pm Omo Lee Sangyeob! Oppa it's been a while since i saw one of your dramas. You did a great job in Signal. Fighting!